Dangerous weather can rip roofs off, smash windows and leave structures exposed to further elemental damage. Whether the damage is from high winds, rain or monsoon, Valleywide Restoration can take immediate action to protect your property, then get to work mitigating the damage and repairing your property. From start to finish, you can count on us to be there when you need us most. 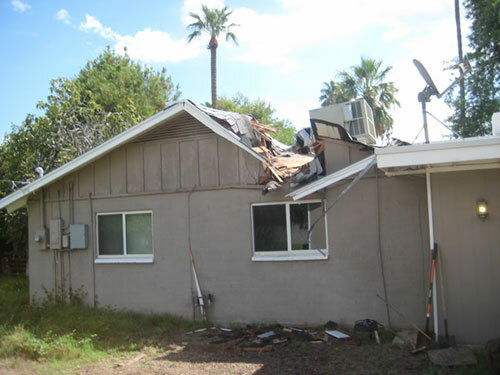 It’s no secret that Arizona is prone to sudden and severe weather, and knowing what to do and who to call if your structure is damaged ensures that your property is protected from further damage from winds or rains. Valleywide Restoration is a local, trusted company, and can provide emergency boardup and tarping services as well as full repairs for your property. Damage to your property can leave it exposed to the elements and unsecured, making it a target for theft or vandalism. Valleywide Restoration provides emergency boardup and roof tarping services designed to protect your property from further loss. 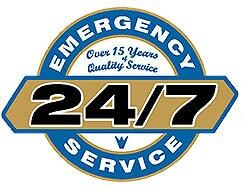 Our experienced team is available 24/7, and will work quickly to mitigate the damage and protect your home. We are capable of handling large and small boardup needs, from a single window or door, to an entire storefront or garage door. Call us today for all your boardup needs. We are a commercial and residential roof repair and installation contractor. If your roof has been damaged from winds or rain, call Valleywide Restoration. Our team has extensive experience with roof repairs and installation, and we specialize in storm damage. If your property has been affected by water damage as well, we can be a single point of contact for all your restoration and repair needs. Click here to learn more about our roofing services. If your property has sustained storm damage, we provide full reconstruction services to completely bring your property to “better than” it’s original status. We handle all aspects of the rebuilding from framing to finishing. We are local IICRC certified contractor with more than 25 years of experience in the restoration, renovation, and construction industry. Please contact us today for a free assessment of your project. Click here to learn more about our reconstruction services.